Are you too shy to wear visible braces? We have the perfect solution for you—Invisalign—the clear advantage to braces. Learn more about your path to a confident smile with your best cosmetic dentist in Vero Beach! 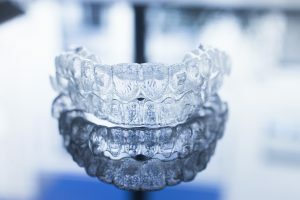 First things first, Invisalign is a clear aligning tray made to fit the ridges of your teeth. Your teeth are digitally scanned to create custom-fitted trays for flexible movement. Furthermore, Invisalign eliminates difficulties usually associated with traditional wire braces. Since Invisalign trays are removable, this makes it easier to brush your teeth and eating without worrying about food particles getting caught in your wires. In fact, Invisalign trays only need to be in your mouth for 22 hours per day. This makes the treatment process faster—6 to 18 months—than the traditional route. Visit Your Best Cosmetic Dentist in Vero Beach! Last but not least, we know the importance of the quality of your smile is to you. This is why we are expertly-trained to offer Invisalign to our patients who want to go on to the clearer path to a confident smile! Contact our office today to schedule an appointment! « Amalgam Removal in Vero Beach | Should I Remove My Amalgam Filling?